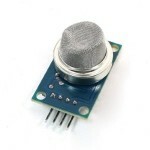 Purchase online CCS811 Air Quality Gas Sensor Module in India at low cost from DNA Technology. The CCS811 Air Quality Breakout is a digital gas sensor solution that senses a wide range of Total Volatile Organic Compounds (TVOCs), including equivalent carbon dioxide (eCO2) and metal oxide (MOX) levels. 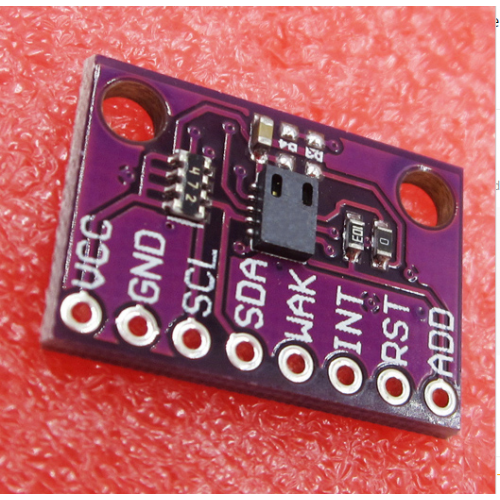 It is intended for indoor air quality monitoring in personal devices such as watches and phones, but we’ve put it on a breakout board so you can use it as a regular I2C device. The CCS811 is an ultra-low power digital gas sensor solution which integrates a metal oxide (MOX) gas sensor to detect a wide range of Volatile Organic Compounds (VOCs) for indoor air quality monitoring with a microcontroller unit (MCU), which includes an Analog-to-Digital converter (ADC), and an I²C interface. CCS811 is based on ams unique micro-hotplate technology which enables a highly reliable solution for gas sensors, very fast cycle times and a significant reduction in average power consumption. The integrated MCU manages the sensor drive modes and raw sensor data measured while detecting VOCs. The I²C digital interface significantly simplifies the hardware and software design, enabling a faster time to market. CCS811 supports intelligent algorithms to process raw sensor measurements to output a TVOC value or equivalent CO2 (eCO2) levels, where the main cause of VOCs is from humans. CCS811 supports multiple measurement modes that have been optimized for low-power consumption during an active sensor measurement and idle mode extending battery life in portable applications. Mics-6814 Air quality Sensor ModuleThis module is a basically a breakout board for SGX Sensorte..
Nova PM Sensor SDS011 PM2.5 Air Quality Dust Sensor with Digital OutputNova PM2.5 SDS011 Laser based..